League Two side Morecambe have signed Blackburn Rovers striker Anton Forrester on loan until 3 January. The 21-year-old moved to Ewood Park from Everton in January 2013, but has made just one substitute appearance for the Championship side. 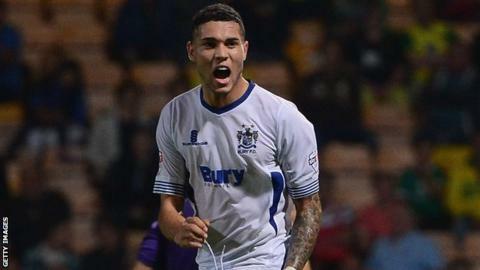 Forrester had a loan spell in League Two at Bury in 2013-14 where he scored seven goals in 31 outings. "I have been looking to freshen up the squad and Anton comes highly recommended," said boss Jim Bentley.